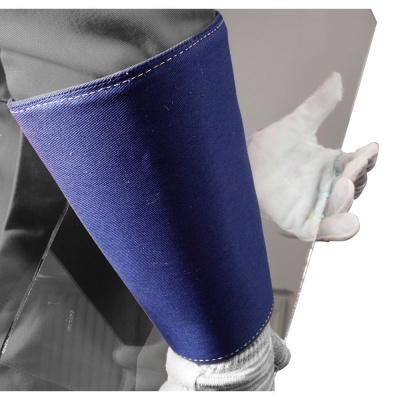 Protecting your lower arms and wrists from cuts and sparks is just as important as protecting your hands, which is why the Tornado TAGW17B Wristex Industrial Safety Cuffs, with maximum abrasion, cut, tear and puncture resistance, are perfect for handling sheet glass. Their buckle fastening offers a great fit and can be adjusted if required, but if you prefer, these same cuffs are also available with Velcro fastening. The TAGW17B Wristex Industrial Safety Cuffs are available in one universal size that should fit most adult users with the length of 20cm. This reduces the need to worry about obtaining specific measurements, ensuring the cuff can provide arm protection as quickly as possible.